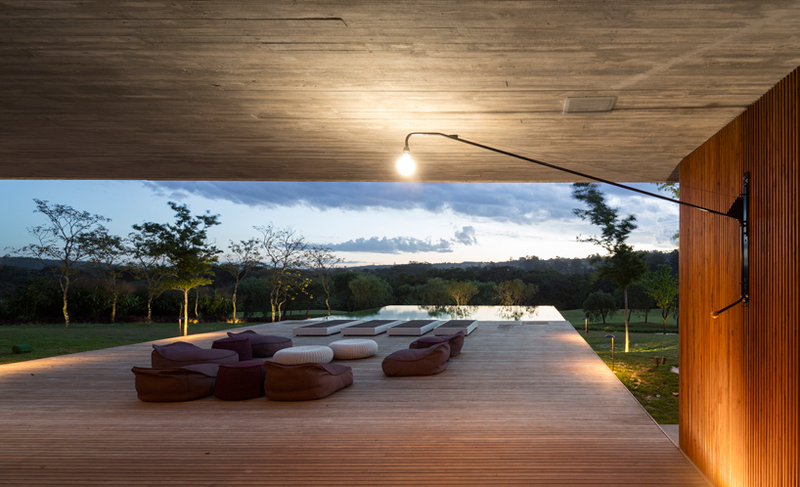 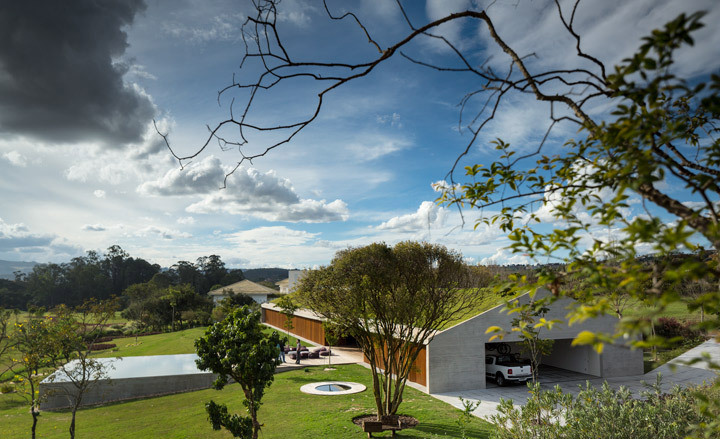 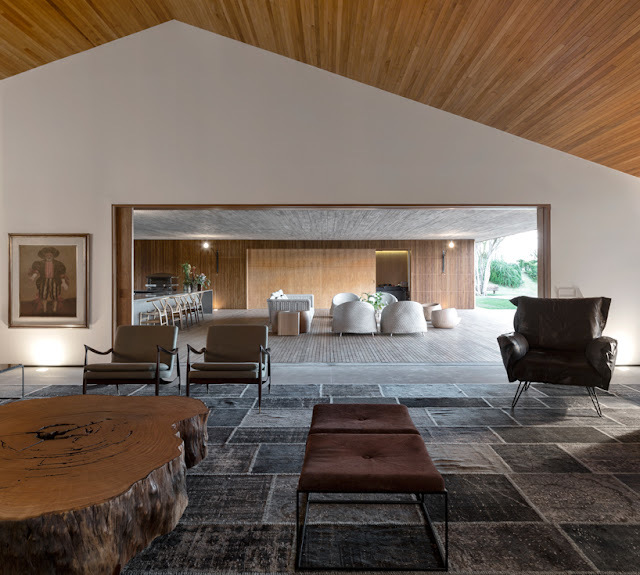 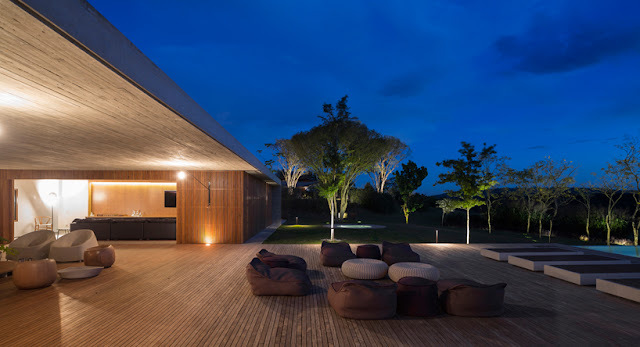 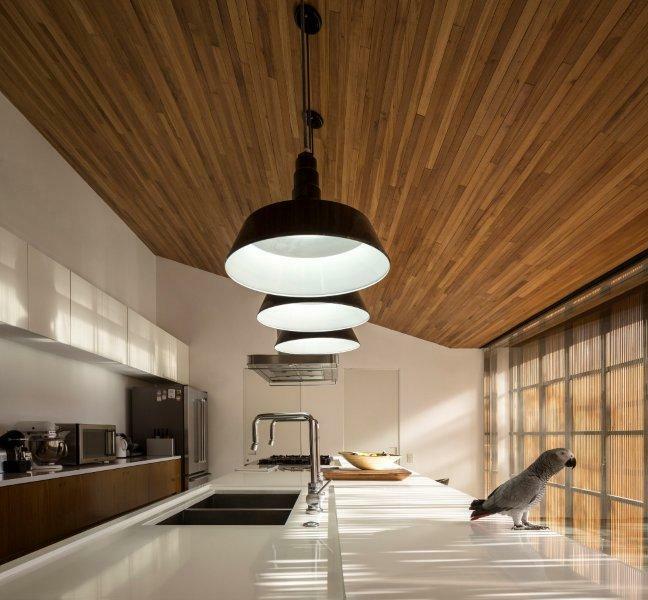 One of the latest completed projects of studio MK27 - Marcio Kogan is the ‘MM house' in Braganca Paulista, near Sao Paulo, in Brazil. 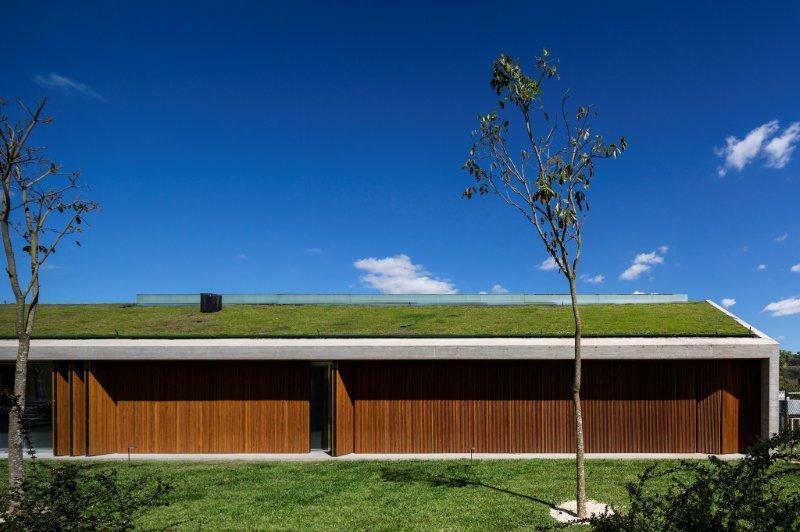 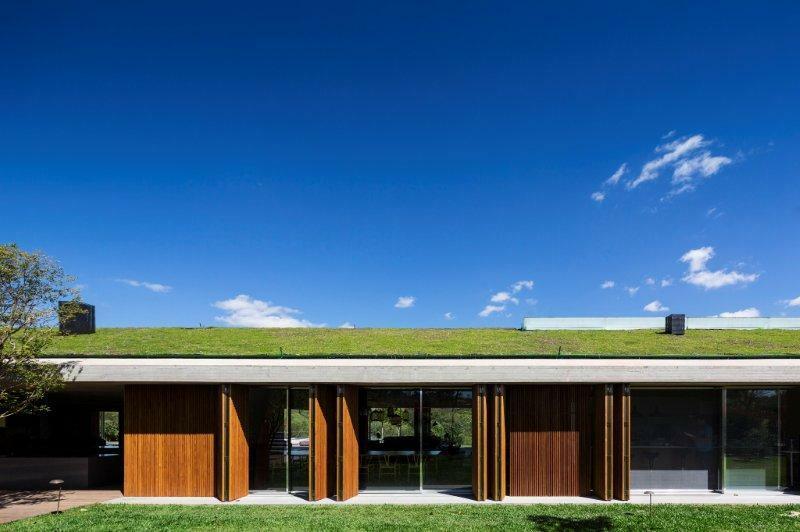 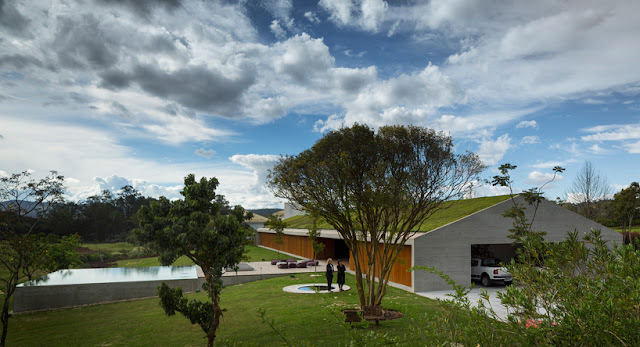 The residence stands out for its simple concrete barn-like shape that is completed with a green roof. 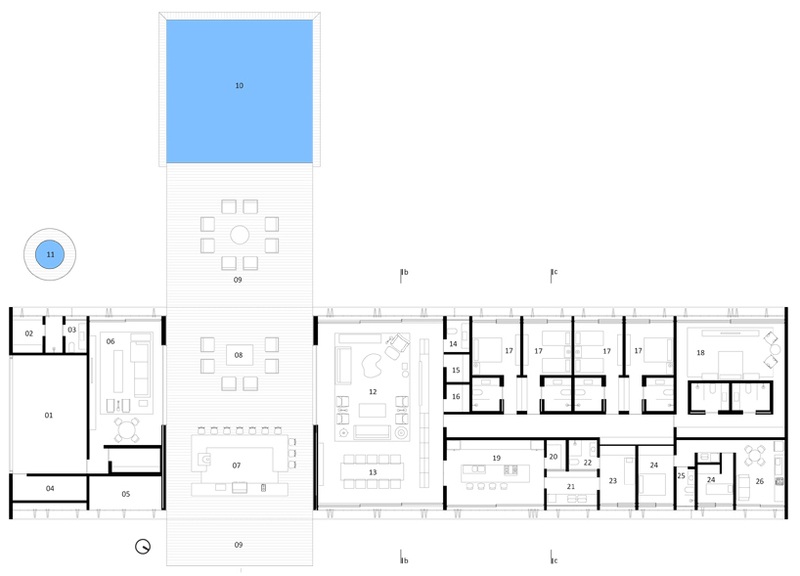 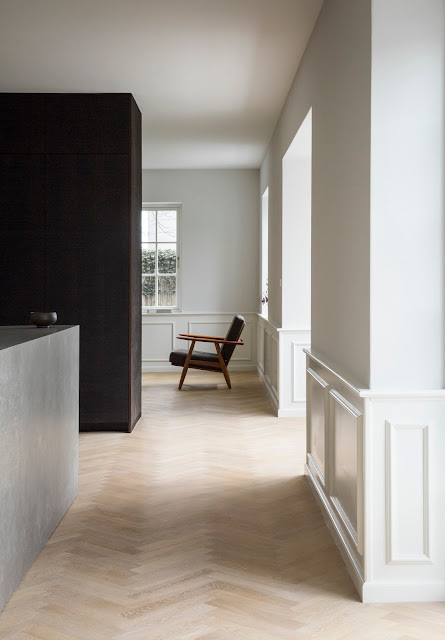 Two rectangles on the east-west axis form the main building’s volume and organize the interior program in a linear order with a sequence of spaces. 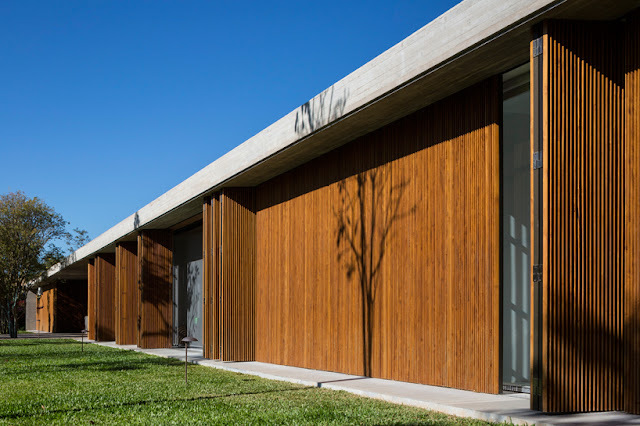 Wooden screens filter and soften direct sunlight that reaches the glazed south and north facades, that open entirely to the exterior. 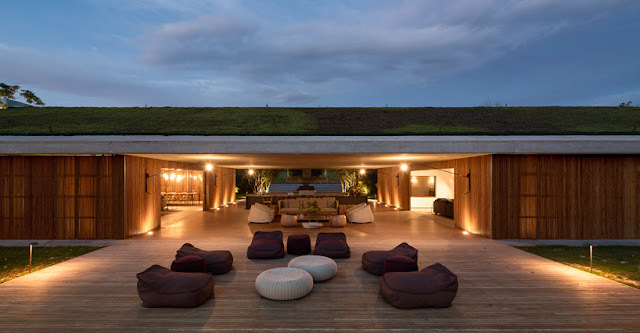 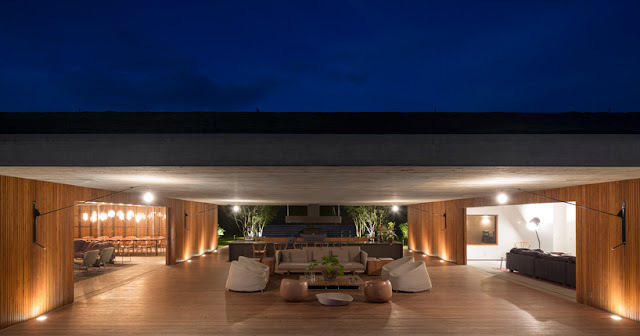 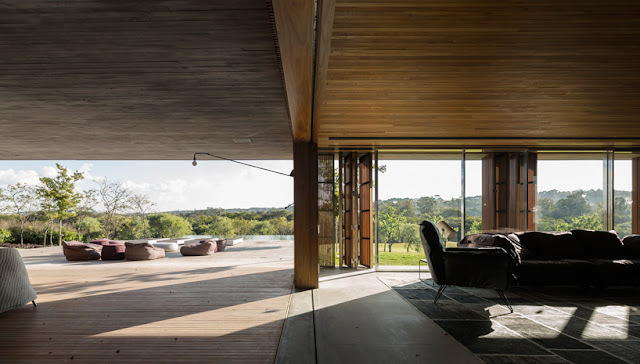 The core of the whole synthesis is a wooden deck area, that blends indoor and outdoor, with barbecue, bar and lounge areas under the pitched roof, but otherwise open to the valley views in front. 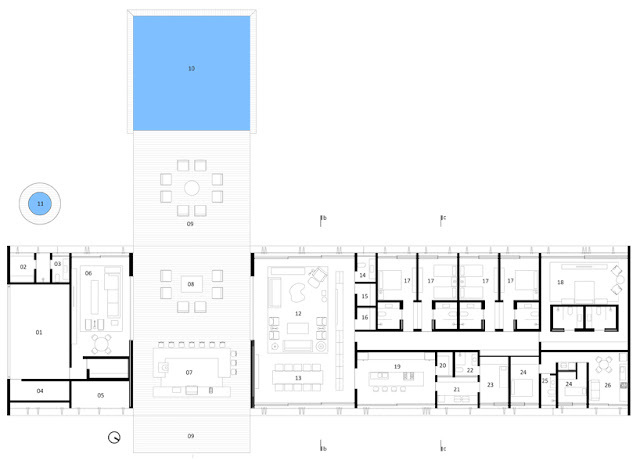 It also extends towards the lower area of the site, ending in a rectangular swimming pool.